The cycle lane is being moved to facilitate the redevelopment of the old Ambulance Station site for the Castle Park View development. The new cycle route here will feature a semi-permanent barrier to protect pedestrians and cycles from traffic in the carriageway. Following the completion of the above development in 2021, Tower Hill will be provided with a full kerb segregated two-way cycle route, similar the route currently provided on Baldwin St. 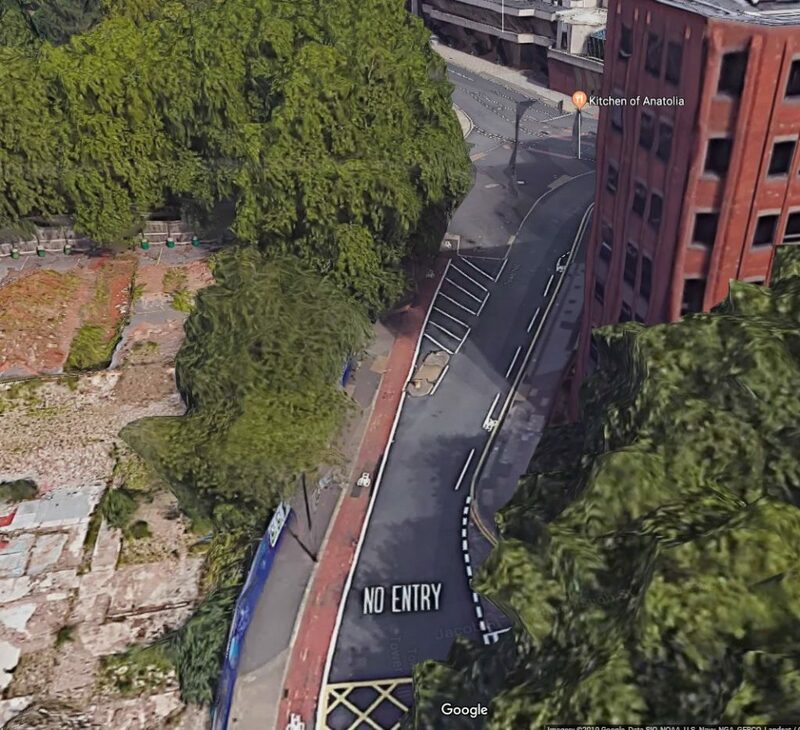 Cycles should use the new semi-permanent route provided and are advised not to cycle contraflow on Tower Hill during this period. The old cycle lane will be out of use.